Betty Klimenko broke the mould when she entered the Supercars Championship in 2013. All tattoos, black boots, and bleached hair, Betty was conceived in a Kings cross jail cell and orphaned at seven weeks of age. The popular motorsport matriarch has since set a new standard for accessibility, providing glimpses of behind-the-scenes action to her fans. A shake-up at the beginning of 2016 saw Betty surrounded by new drivers, race cars, and many new faces when she moved her team from Queensland to Victoria. Fast forward 18-months and she not only conquered the Mountain, but every powerhouse garage further up pit lane. 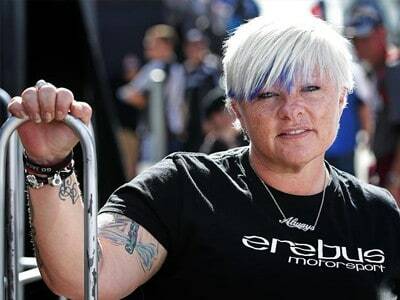 Bathurst is just the latest chapter in Betty’s incredible life story, and with a long-term plan for her team, the sole female Team Owner vows she won’t give up on taking the fight to the bigger teams.